I’m not sure if the Don’t Be Tardy cameras are still rolling or if the filming has wrapped, but things are changing for the Biermann family. One story line that has been a constant on the show is the uncertainty of Kroy Biermann’s football career and what it would mean for the family if he signs to another team. Well, today is the day. Kim Zolciak’s husband has been signed to a new team. And in case you were wondering, it means he would be playing in a city that is pretty far from Atlanta. 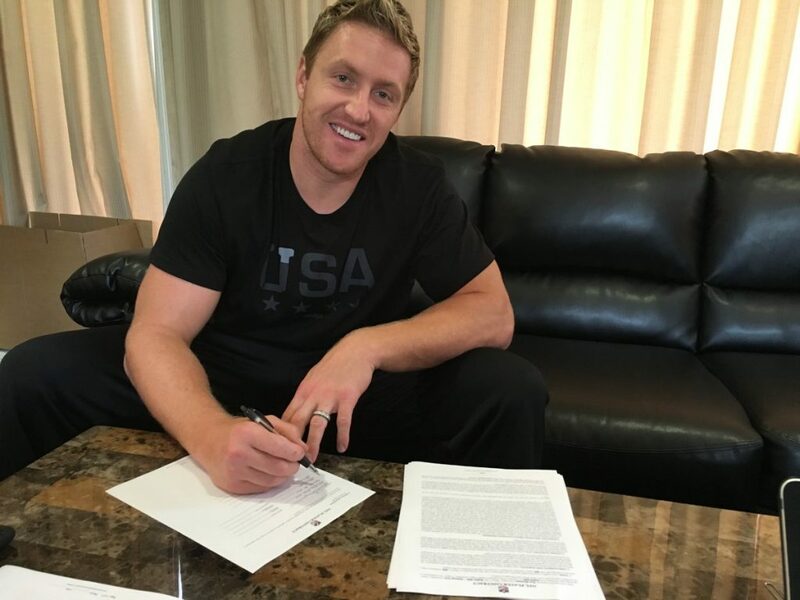 The Buffalo Bills announced that Kroy’s signing is official in a tweet from the team account that said, “We’ve officially signed LB Kroy Biermann. Welcome @biermann71!” That’s really exciting news, but I’m still curious to see how the Biermann family handles the news. I wonder if Kroy will commute back and forth or if the whole crew will just move up to Buffalo. Hopefully, this plays out on the show. Brielle Biermann retweeted both Kroy’s tweet and the tweet from the Buffalo Bills account. And of course no one is more proud of Kroy than his wife Kim. She put up an Instagram post with a pic stitch of Kroy hugging the kids accompanied by a heartfelt caption. Not only is she elated by Kroy’s signing, but she is just full of emotions today already since her sons Kash and KJ started school. It seems like this is all happening so quickly, but this is arguably the cutest family on reality TV so I’m sure they will find a way to make it work and I’m just hoping that this all ends up being a part of the show. TELL US- WHAT DO YOU THINK ABOUT KROY SIGNING TO THE BILLS?